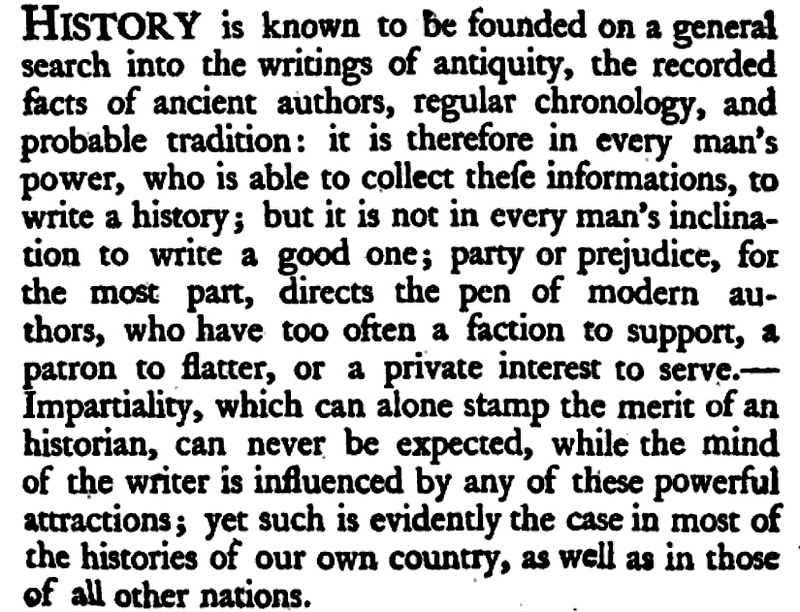 The words reproduced below are themselves part of an historical document. They also have a very contemporary feel to them, making us think of how Liverpool is represented. If these prejudices prevail in general history, their appearance in provincial descriptions of towns and places may be reasonably expected. 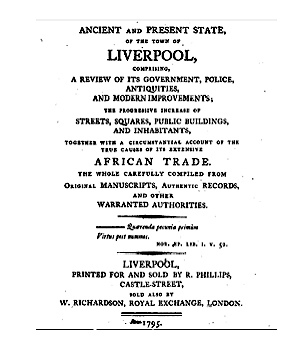 The histories of Chester, Birmingham, Liverpool, and many others which have hitherto appeared, are evidently written with a view to please the inhabitants, and are therefore replete with eulogy and partial panegyric; nor can such proceeding cause astonishment, when we know they are wr1tten by natives, or such as by long residence may be called denizens of the place they describe; therefore however just and regular the descriptive part in these compositions may appear, the manners and customs of the inhabitants, and real constitutional state, is seldom truly represented; an author in this situation being dependant, is fearful to offend, whence adulation becomes the substitute of veracity, and ensures commendation and protection to the work,’ not for the merits of the performance, but for the tribute of praise it contains. The love of adulation is innate; vanity makes us receive it, while opulence disdains to examine on what principles we are justified to embrace and deserve it. Such historical compilation will undoubtedly please and gratify the vanity of the inhabitants, but at the same time mislead the stranger, who, in addition to amusement, expects to receive information from a perusal of the work.